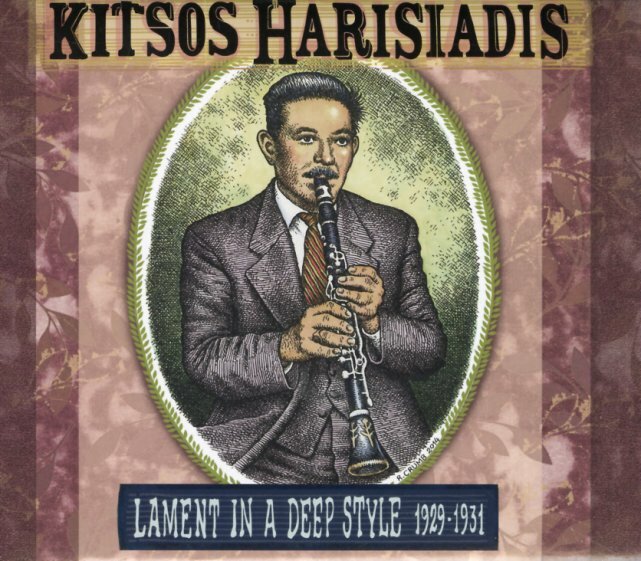 Clarinet music, but unlike anything else you might have heard before – as Greek musician Kitsos Harisiadis uses the instrument in a style that's quite far from American jazz and swing! Instead, the clarinet here is used on a series of folkloric tunes – music from the northwestern region of Greece, where Kitsos lived in the 20s – preserved here on vintage 78rpm recordings that are filled with rich tone and echo – audio that seems to transform the clarinet even more, as the instrument is set amidst spare percussion or stringed instrument backing – to soar out into space with a very melancholy vibe! Harisiadis is incredibly deft – running up and down the instrument with the speed and creativity of a free jazz musician, but always keeping things melodic, even when emotionally moving. Titles include "Zagorisio", "Dipli Gaida", "Skaros", "Mirologi In Do", "Stroto Pogonisio", "Miarologi Arvanitiko", and "Gaida". © 1996-2019, Dusty Groove, Inc.